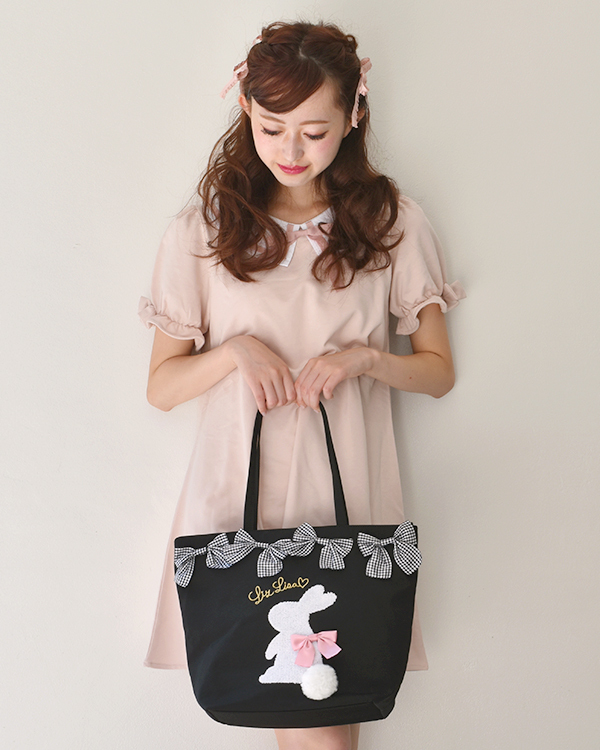 LIZ LISA original tote ribbon bag with a very cute rabbit applique. A 3D ribbon is also attached. All our attention on the cute rabbit tail.